Top: A mummified human arm embedded with a minie ball to simulate a Civil War wound. 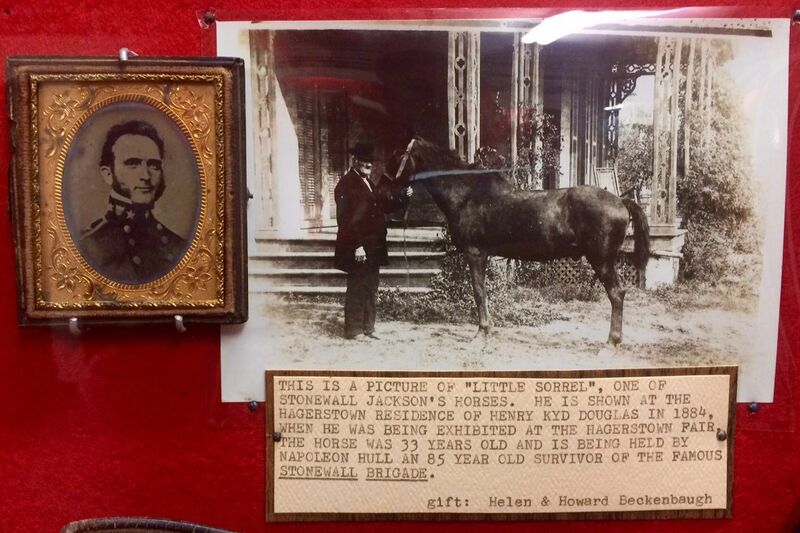 served under Stonewall Jackson. 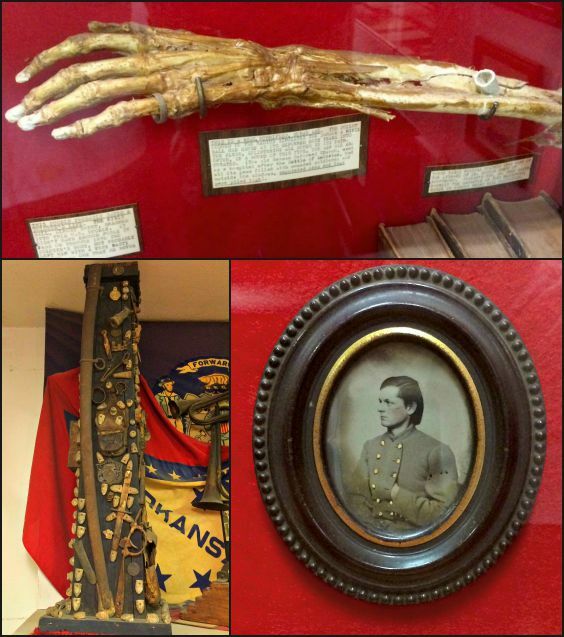 The arm is not believed to have come from a Civil War soldier. 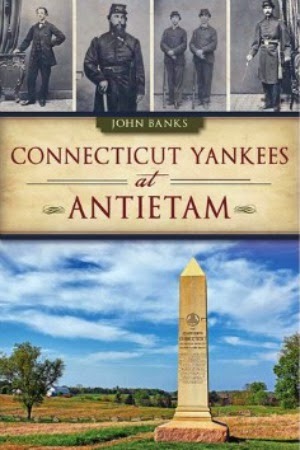 A decade or so ago, when we still lived in Texas, I took my annual Civil War trip to Antietam. 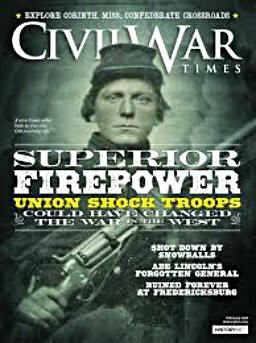 My "Power Tour" routine: Up at 5:30 a.m., drive the battlefield for several hours, lunch in nearby Shepherdstown, W.Va., walk the battlefield for hours in the afternoon, dinner and a cold beer or two at Captain Benders Tavern after dark in Sharpsburg and head back to my room at the excellent Jacob Rohrbach Inn, a short walk up Main Street. But on this trip I was eager to see something different. 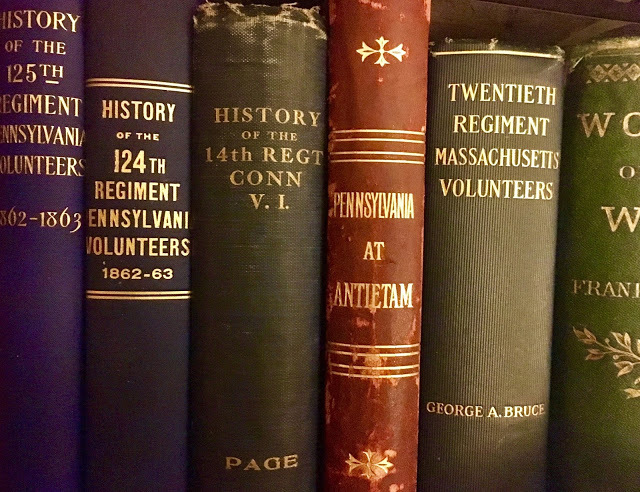 I had read about a small, private museum in nearby Boonboro, Md., and its outstanding Civil War collection. So one afternoon, I made the 6 1/2-mile drive from Sharpsburg up the old Boonsboro Pike (Route 34), past such familiar landmarks as the historic Philip Pry House, Bonnie's At The Red Byrd restaurant (eye-opening coffee! ), the Crystal Grotto Caverns and Potomac Street Creamery. At Boonsboro, the quaint town at the foot of South Mountain, I made a left, drove several hundred yards down Main Street and parked in the tiny gravel lot between two buildings. 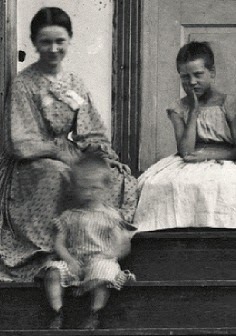 his assistants, Susan Fair and Jeff Brown. 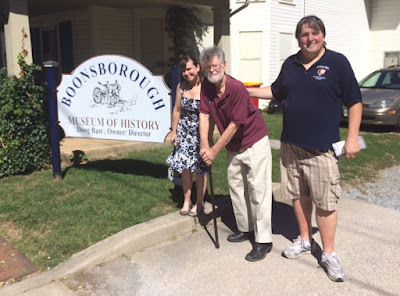 A small sign out front of one of them noted I had arrived at my destination -- the Boonsborough Museum of History. The two-story museum building was unremarkable: white siding, shades drawn on the windows and a small porch with a deck painted gray. 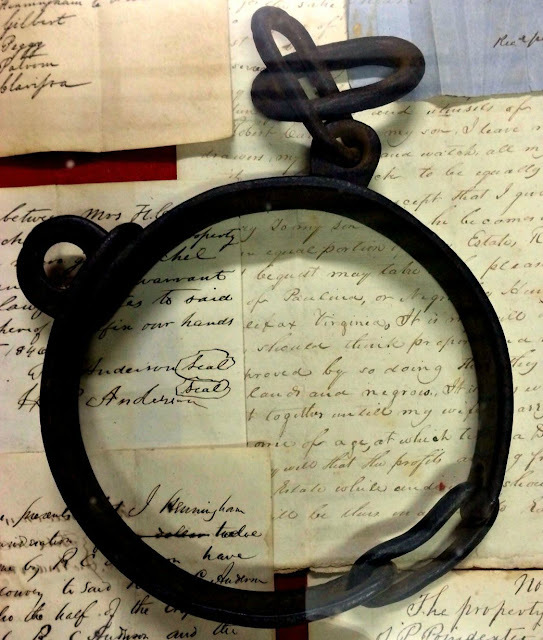 A large cannon tube, perhaps Revolutionary War vintage, lay on a wooden base on the porch, near the blue front door. The museum was supposed to be open this day, but I was warned the owner's hours were "irregular." Me: I was hoping to see your Civil War museum. I've heard a lot about it. Man: I'm not open today. Can't help you. Man: Come on in, but I can only give you a quick tour. 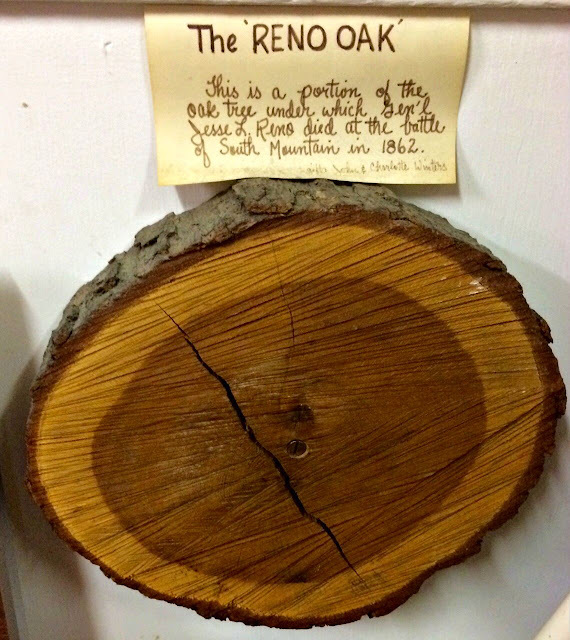 A room of Civil War artifacts in the Boonsborough Museum of History. For the next two hours, museum owner/director Doug Bast (pronounced BOST) was an enthusiastic host, bounding from room to room showing off a remarkable, and often odd, collection that includes Ming Dynasty vases, Egyptian animal mummies, children's caskets, a gauntlet sword inlaid with pure gold, an African witch doctor’s knives and a beheading ax. Most of the rooms were filled floor to ceiling with artifacts ... and stuff. 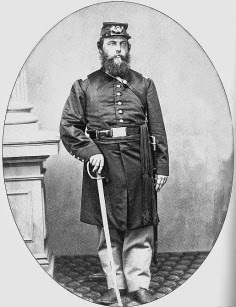 But it was Bast's Civil War collection that I had come to see, and it was indeed fabulous -- a mixture of the macabre (a skull, perhaps of a Rebel) to the magnificent (an ambrotype of Henry Kyd Douglas, who served on Stonewall Jackson's staff) to the ultra-rare (slave collars). In a case in the front room on the first floor, there was a display of bullets carved by soldiers. 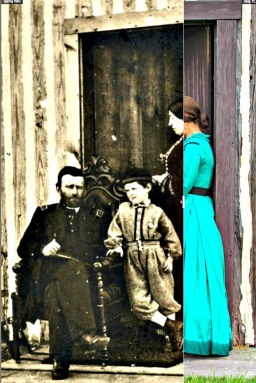 One was of Lincoln in a stovepipe hat. In another case, there was a Confederate sniper rifle, a Gettysburg battlefield pickup. 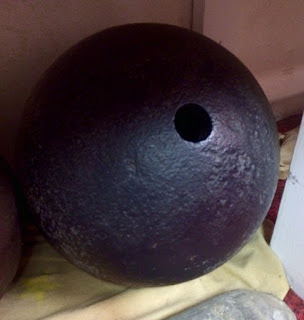 A massive Confederate mortar shell. A lifelong Boonsboro resident and passionate historian, Bast, 80, has been collecting historical items almost all his life. His family has deep roots in the area: Until it closed in 2011, a furniture store on Main Street in Boonsboro was run by the Bast family for more than 100 years. 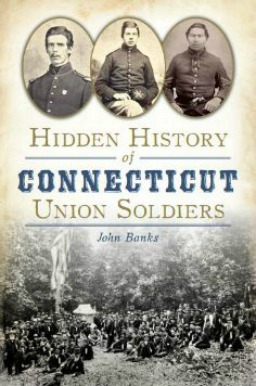 The area is also rich in Civil War history. 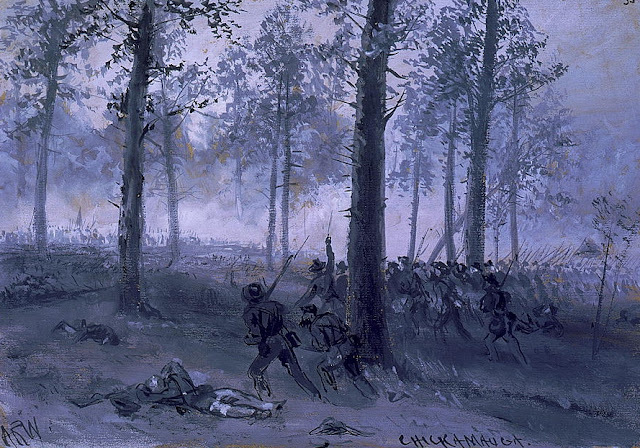 The Battle of South Mountain, fought three days before Antietam, took place near Boonsboro and the Old National Pike. 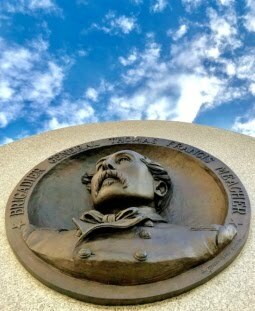 Five days after Gettysburg, on July 8, 1863, Confederate cavalry clashed with Union cavalry and infantry in and near Boonsboro. During the Civil War, the town's churches and public buildings were used as makeshift hospitals for wounded soldiers. 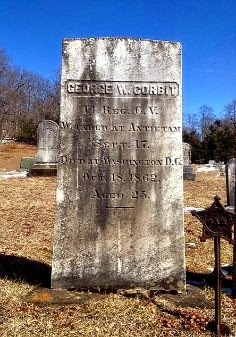 The remains of 16th Connecticut Captain Frederick Barber, who was mortally wounded at Antietam, were transported to Boonsboro en route back home to Connecticut. On Sunday afternoon, I made my first stop at the museum since my long-ago visit. Because I had a long drive back to Connecticut, my stay lasted only about an hour, but it was well worth it. With Bast's eager assistant Jeff Brown as a guide, I checked out a framed letter by famed Civil War nurse Clara Barton, a rare image of Stonewall Jackson, a relic pyramid, a pike from John Brown's ill-fated raid at Harpers Ferry and a war log embedded with an artillery shell, among many other historical treasures and oddities. On my way out the door, Bast handed me a gift. "Here," he said with a cackle, "is a Boonsboro bullet." I'll keep the minie ball prominently displayed, a nice reminder that I must make another side trip to this off-the-beaten path gem of a museum when I return to Antietam. 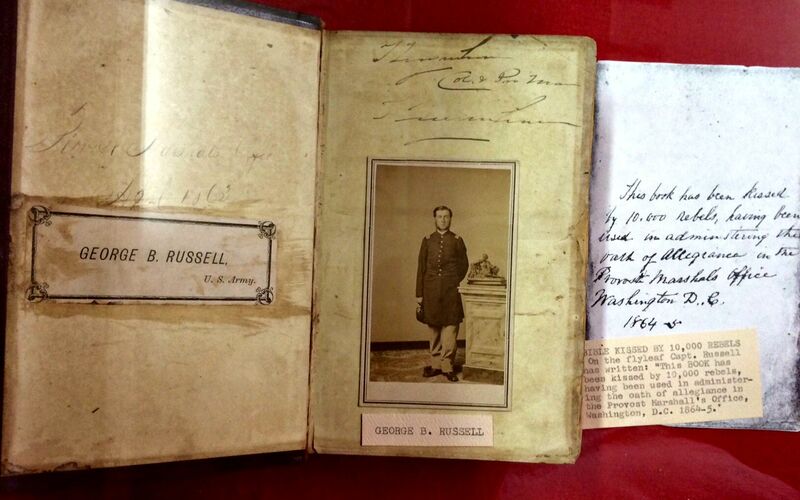 After taking the oath of allegiance to the Union in 1864, 10,000 Rebels are said to have kissed this Bible. 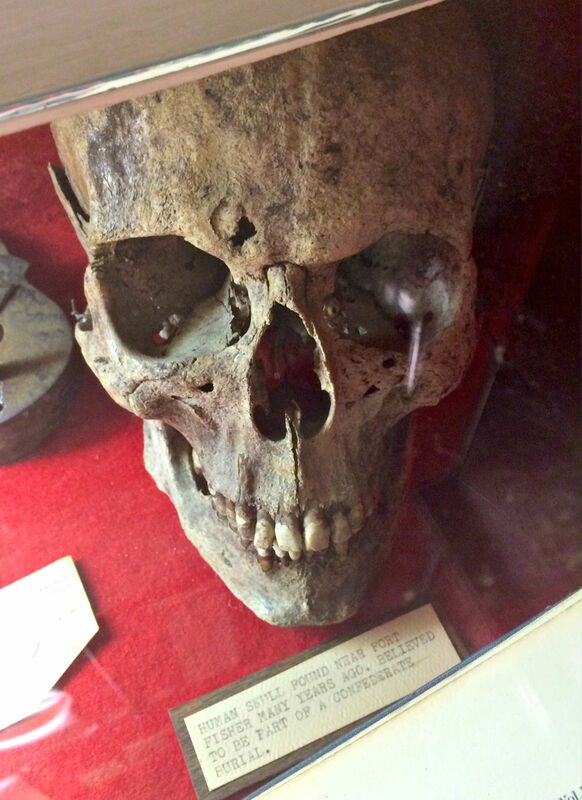 A human skull that, according to the card below it, was "found near Fort Fisher many years ago." 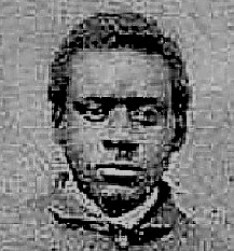 Fort Fisher, a massive Rebel fortress near Wilmington, N.C., was captured on Jan. 15, 1865.
horse, "Little Sorrell," at the residence of Henry Kyd Douglas in Hagerstown, Md., in 1884. 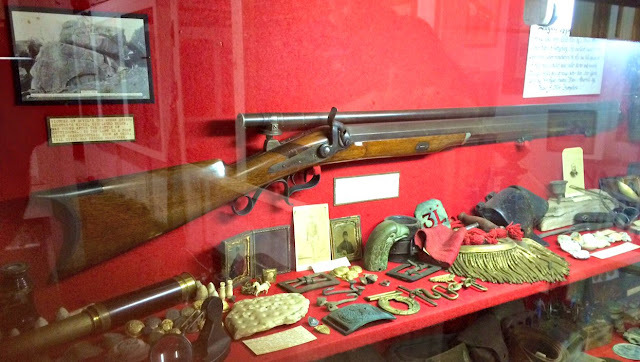 A Confederate sniper rifle picked up after the Battle of Gettysburg. An artillery shell embedded in a war log. A rare Civil War-era slave collar. 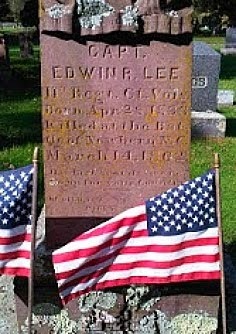 died at Fox Gap after he was shot at the Battle of South Mountain on Sept. 14, 1862. My father's family lived in the Sharpsburg/Keedysville, MD and we used to visit his parents every summer until my grandmother died. 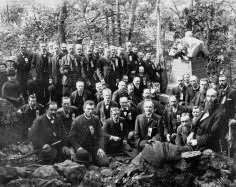 One year, probably around 1968 or 1969, we all visited Sharpsburg and went around the battlefield. We also stopped at a private museum in a small white house that had Civil War memorabilia. One of the exhibits was the remains of an amputated arm. I did some research last year and learned the private museum I visited many years ago was gone. But it is wonderful to know about this museum. My great grandfather and my great-great grandfather served during the war although I don't know much about their service.